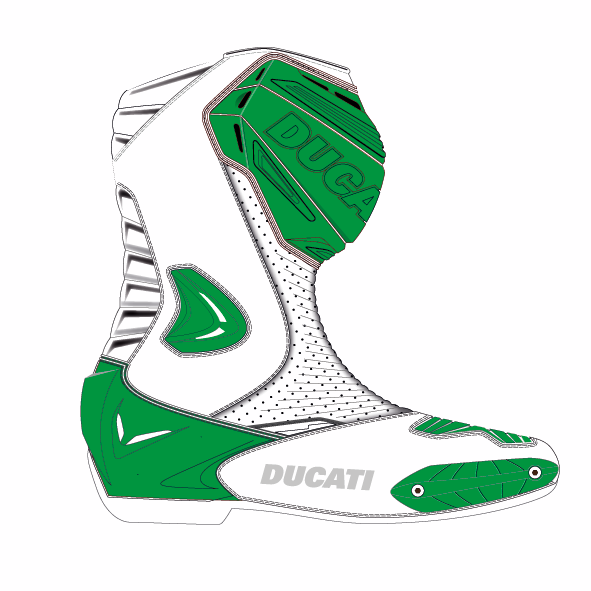 The Sport 2 racing boots, CE certified according to the regulation EN 13634:2010, have been designed to offer high standards of comfort and protection to sport riders. The upper, made of microfiber, features an ergonomic cut and two large bellows (one on the front and one on the back) that ensure flexibility and comfort. Come with polyurethane protectors on shinbones, heels and exterior ankle bone, interchangeable slider on the front, ultralight outsole with diversified grip areas for easy driving and breathable Airtech fabric lining. 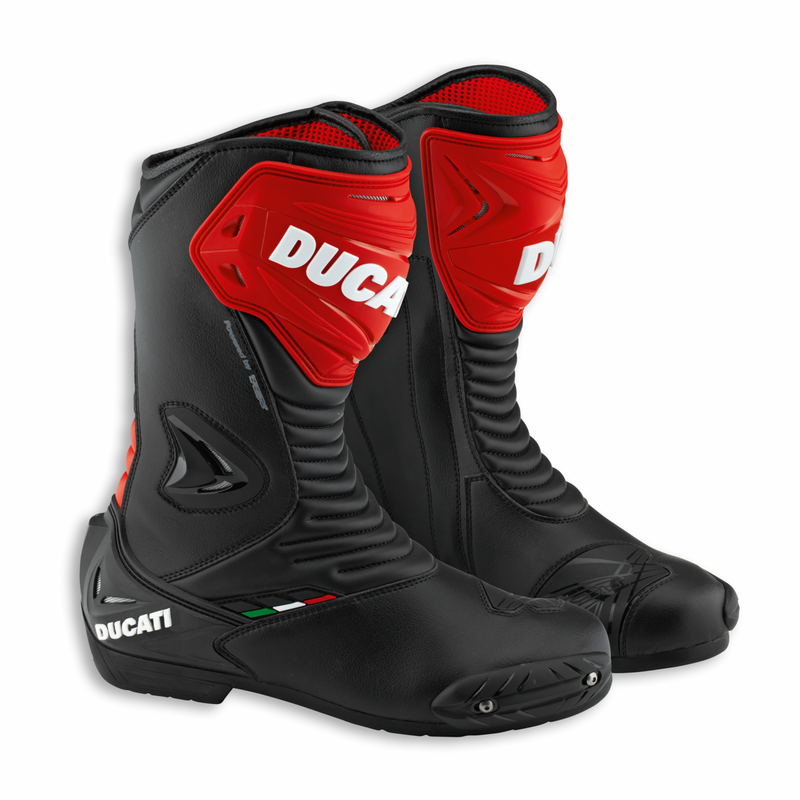 These appealing boots are available from nr 38 to nr 47 (US 5-12,5).